Notice how well Dennis blends in with his surroundings. 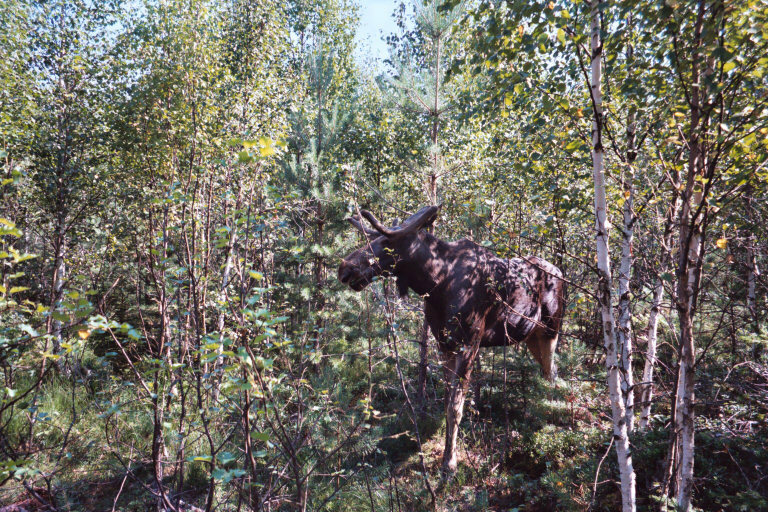 This is a BIG animal, and yet, in the forest, he becomes invisible. He's almost silent (despite walking about in dense growth, with a hat rack on his head). Without the guide we'd never have spotted him.